Provides $2500 for research in France for doctoral students and scholars in the early stages of their academic careers. Provides funding for research in France. Amy Millstone, Professor of French Literature at the University of South Carolina, was one of the prime movers in the Western Society for French History during the 1980s and 1990s. She served on the governing council and distringuished herself in regular conference presentations as a scholar of nineteenth- and twentieth-century French popular culture. Through her singular energies and enthusiasm, Amy drew together diverse resources and personalities. In the process, she helped orchestrate some of the most memorable moments in the Society's history. In 1989, Amy arranged for the free use of two executive jets to fly a talented group of musicians from the University of South Carolina to perform on Napoleonic-era instruments at the New Orleans meeting, a highlight of the Society's bicentennial commemorations. In 1996, she literally saved the annual meeting in Charlotte, North Carolina, by agreeing to step in as local host when the UNC-C coordinator could not fulfill the obligation. She secured a distinguished panel of guest speakers, arranged hotel accommodations, and even stuffed conference packets in the last hours before the conference. At the same meeting in 1996, she dazzled participants with a multi-media presentation which explored the fin-de-siècle chanson, Paris landmarks, and working-class identities. Her efforts were all the more impressive because she was in the last stages of a battle with leukemia. Her life's work on the nineteenth-century, right-wing author and independent woman, Gyp, was brought short by her untimely death in January 1997, but her legacy continues as a consquence of her generous bequest to the WSFH. The Millstone Research Fellowship, made possible by a bequest from the Millstone family, recognizes her vision of the intellectual process as a fundamentally social exercise, promoted by the exchange of ideas in person as well as in print. The Millstone Fellowship provides $2500 for research in France. Eligibility is restricted to doctoral students, untenured and adjunct faculty members, and independent scholars who reside in North America and whose research related to French history and culture requires work in archives, libraries, or other repositories in France. Preference is given to doctoral students and scholars in the early stages of their academic careers. 2017. Nick Underwood, University of Colorado Boulder, "Yiddish Culture after Liberation and the Holocaust in Paris, 1944-1949." 2016. Deirdre Lyons, University of Chicago, "Work, Family, and Public Order: Emancipation and Citizenship in the French Antilles, 1848-1914." 2015. Caroline Séquin, University of Chicago. "Forbidden Love? Race, Citizenship, and Sexual Politics in the French Atlantic World, 1848-1960." 2014. Elizabeth Everton, Concordia University, St. Paul, MN. "National Heroines: Women and the Radical Right during the Dreyfus Affair." 2013. Cynthia Cardona, University of California-Irvine. "Abortion in France: Private Struggles and Public Debates, 1950-1985." 2012. Katherine Godwin, University of Illinois at Urbana-Champaign. "Strategic Litigation: Legal Culture and Daily Life in Sixteenth-Century France." 2011. Elizabeth Nelson, Indiana University. "Timeknots: Archaic Madness and the Sciences of the Psyche in France circa 1900." 2010. Meghan Roberts, Northwestern University. "Cradle of Enlightenment: Philosophes, Family Life, and Knowledge Making in Eighteenth-Century France." 2009. Heidi Sulzdorf, University of Michigan. "The Life Cycle of Cloth in Toulouse, 1271-1443." 2008. Rebecca P. Scales, George Mason University. "Sounding the Nation: Radio and the Politics of Auditory Culture in Interwar France, 1921-1939." 2007. Jeannette E. Miller, Pennsylvania State University. "The French State's Politics Towards the Harkis from the End of the Algerian War to the Present: Shifts, Stagnations, and Contradictions." 2006. Diana K. Davis, University of Texas-Austin. "Des Plantations Civilisatrices: Forestry, Conservation, and the Taux de Boisement." 2005. Melinda Rice, UCLA. "A Fool and His Money: Culture and Financial Choice During the Law Affair of 1720." 2004. 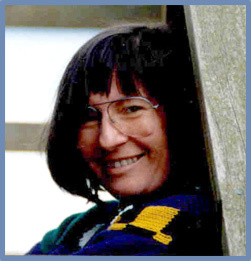 Sheila Crane, University of California-Santa Cruz. "Mediterranean Borderlands at the Ends of Empire: Decolonization and Architectural Translations Between France and North Africa." 2003. Leslie Tuttle, University of Kansas. "Conceiving Absolutism: Natalism in Old Regime France, 1666-1789." 2002. Katherine Crawford, Vanderbilt University. "The Sexual Culture of the French Renaissance." 2001. John Monroe, Iowa State University. "Evidence of Things Not Seen: Spiritualism, Occultism, and the Search for a Modern Faith in France, 1853-1920."